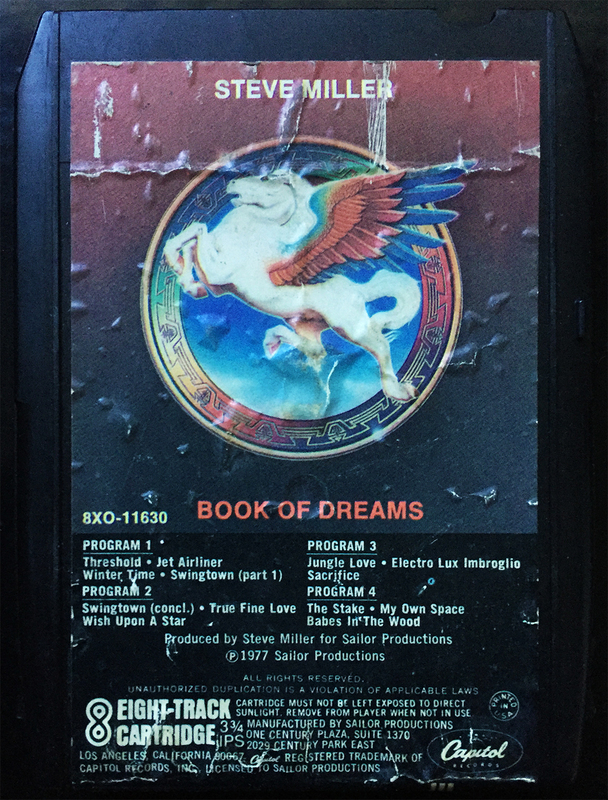 1977’s Book of Dreams was The Steve Miller Band’s 10th studio album, and arguably their most prolific release. 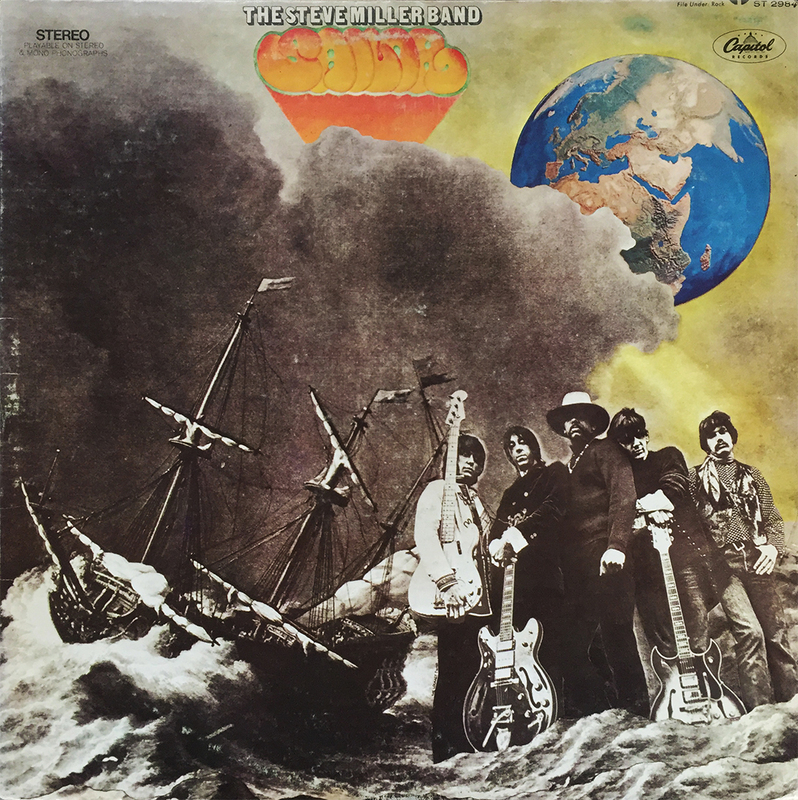 7 of the tracks would appear on the band’s Greatest Hits 1974 – 1978 album, which appeared just a year after Book hit record store shelves. The classic Jet Airliner is the obvious standout (or Jed & Lina, depending on who you ask), but Book also contains the party-favorite Jungle Love. 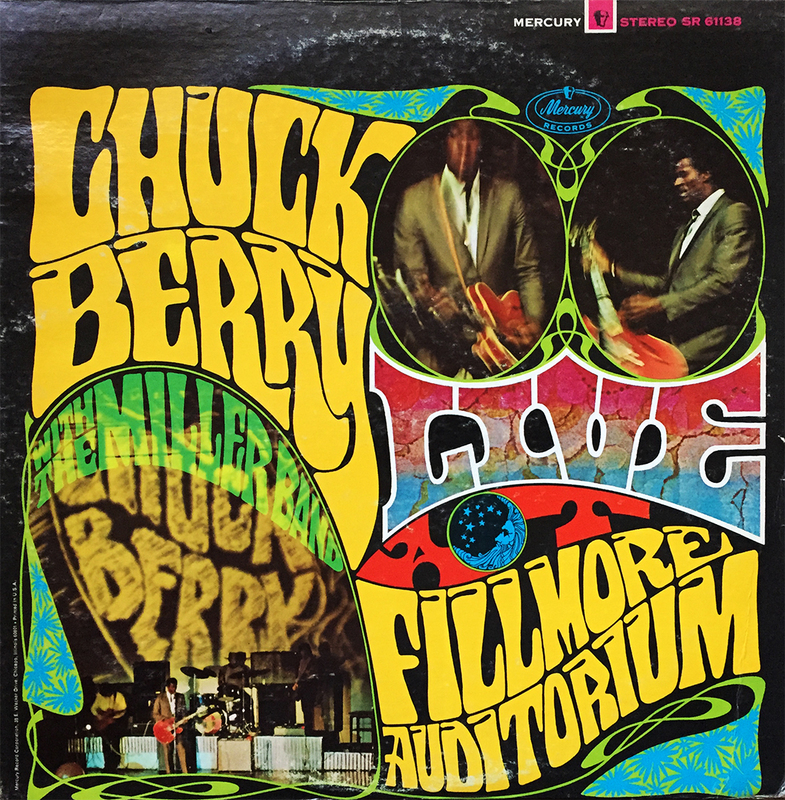 In all, it’s no question, given the outrageous success, that this album would appear on multiple formats. Presented here is a newly acquired 8-track. Same track order as the vinyl release, save for Swingtown which is broken into two parts. No joke, The Steve Miller band hit it huge with Book of Dreams. Oh, Steve Miller. Tucked inside my 1977 copy of Book of Dreams was this pristine insert order form. 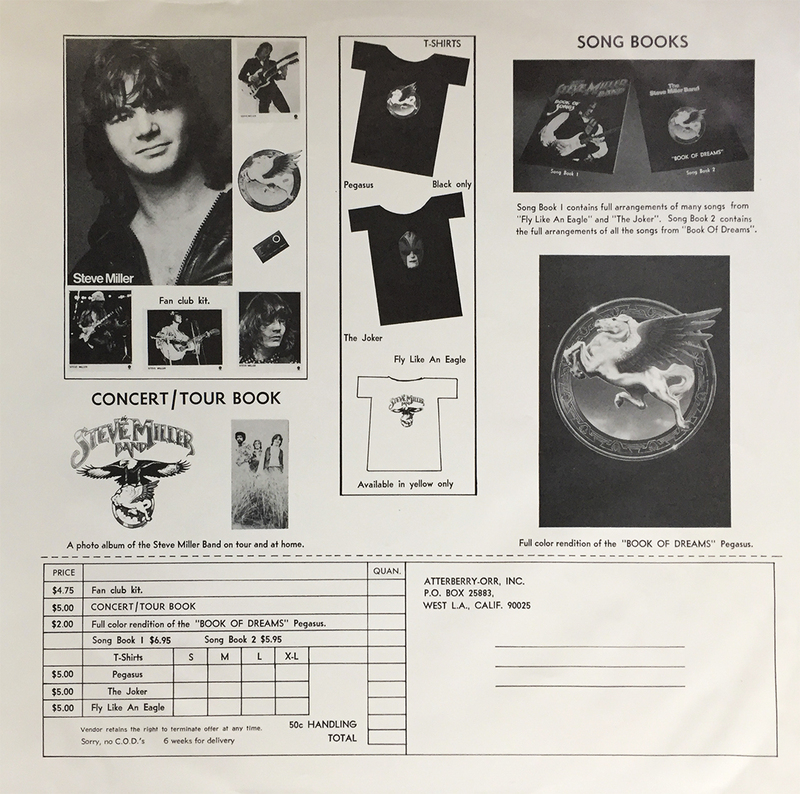 From posters, to a concert / tour book, to a variety of shirts, and finally to a grab-bag fan club kit, Jokers and Jet Airliners alike could spend their hard-earned, late 70s cash on solid Steve Miller schwag, and for seemingly modest prices. One can never have too much Steve Miller schwag as far as I’m concerned, and the fine people at Capitol Records felt the same way.